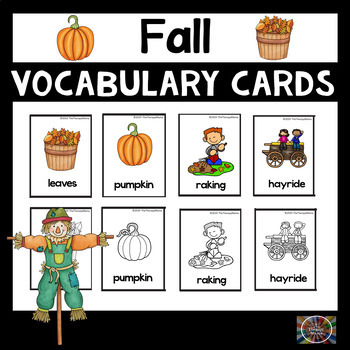 This is a fall themed vocabulary card set that will not only help your students with vocabulary but with language and speech as well. 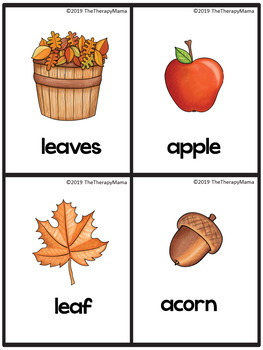 This set includes 28 unique fall themed words with pictures. 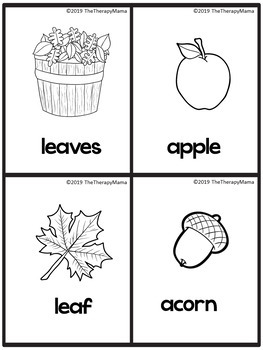 I have included both color version and black and white for easier printing. 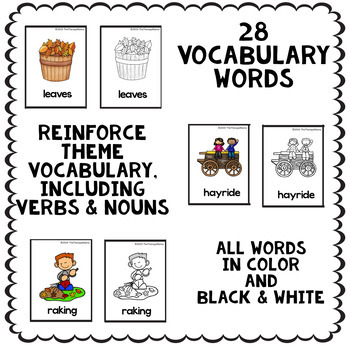 This set could be used in a classroom, ESL classes, activity centers or a homeschool setting.